South Australian defence advocacy body Defence SA has said South Australian small and medium enterprises are deeply concerned about losing opportunities to join the Offshore Patrol Vessel supply chain. In a submission tabled by Defence SA to the Senate standing committee on economics, the advocacy body said, "The owners of South Australian small and medium enterprises (SME) are now concerned as it becomes apparent that ... an Australian supply chain will be excluded from the first OPVs constructed and only be built up once the program is relocated to Western Australia." Two of the 12 OPVs will be built in SA before the project moves to WA so construction on the Future Submarine Program can begin in Adelaide in 2020. Defence SA has said the Capability and Sustainment Group (CASG), in order to protect the construction schedule of the future submarines and frigates, have made "the rational decision" to allow "only a few design changes that are essential for the first OPVs constructed". The SA body said all three contenders can readily support this strategy put forward by CASG as they currently build vessels in foreign countries through the local consolidation of a 'pack' of pre-fabricated parts from their European shipyards. Defence SA has said there are more than just job losses at stake through the exclusion of an Australian supply chain at the outset of the process. "The consequences of excluding an Australian supply chain at the outset of the build process are more than job losses within SMEs," Defence SA said. "A stable supply chain is necessary to realise the productivity gains of a continuous build. 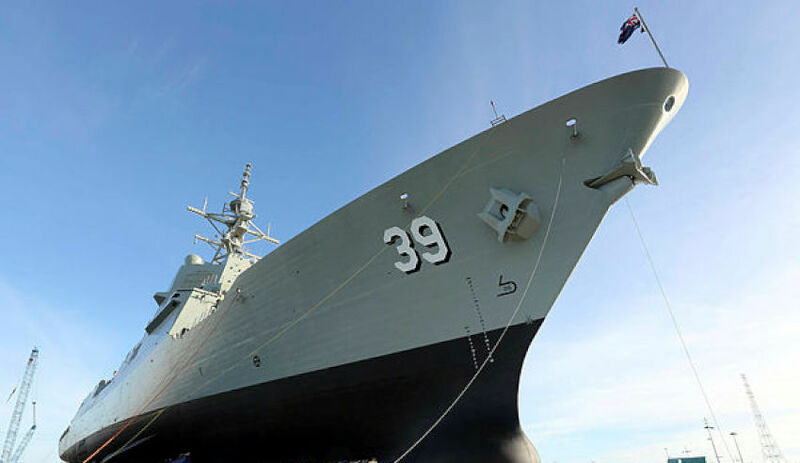 If retention of core competencies is restricted to the shipyard, Australian SMEs will be rebuilding capability and workforce on the Future Frigate program, a much more complex and challenging build." Defence SA noted that Australian SMEs have the ability to commence the OPV program immediately. "With available materials, steel could be cut, pipes could start fabrication and steel structures could begin to take shape. Facilities are available today, on both the Common User Facility in Techport and at the ASC South shipbuilding site now that the second AWD has been launched," the body said. Defence SA has recommended that the Senate committee seek clarification from the Australian government as to the size and nature of the workforce that will be retained by commencing the OPV program in South Australia and the evolving workforce split between the shipyard, Australian and European supply chains, as well as their strategy for retaining competence in the Australian supply chain and its implication for future naval programs.